I alway enjoy reading the Kowalskis family very much. They always have so much love and comedy that it makes the read so enjoyable. I have been waiting for forever for this book since Liz is the last Kowalskis to receive her love story. 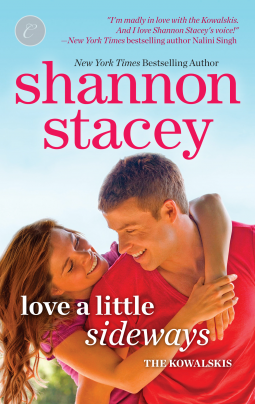 Shannon Stacey has not definitely disappointed at all for Liz story. It was so much fun to get to know Liz since we only get a few hints about her. Liz is definitely starting over again since she back to her hometown. She just enjoy to free and adventurous that it takes a special man to catch. Drew is the right man for Liz that he keeps her alive and free while they are together. I adore Drew so much that I was happy that he gets a happy ever after story. They definitely fit with each other even they fight the attraction within.